LAST ONE LEFT!! LISTED when builder broke ground! READY NOW! A+ LOCATION! This 2018 BUILD SOHO TOWN HOME comes with Tons of Parking and a PRIVATE BACKYARD. This Home is MOVE IN READY and perfect for All Buyers!! This is NEW CONSTRUCTION, Home Warranty, with NO HOA! 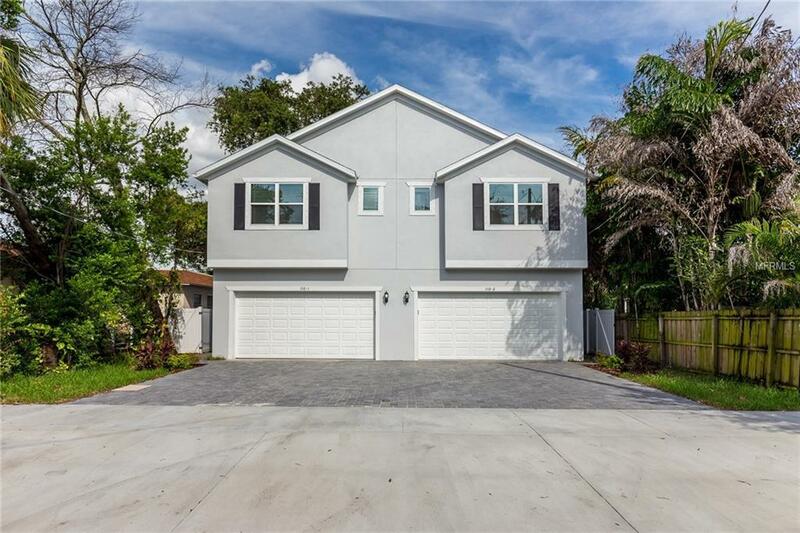 A+ Schools: Mitchell Elementary/Wilson Middle/Plant High School This home is truly a South Tampa Hidden gem walking Distance to tons of Trendy Shops and Restaurants including The Bungalow Restaurant and Buddy Brew Coffee. This local established builder Stress Free Construction has really thought of it all on this one. You will love your Custom Paver Driveway with room to Park 6 Cars, not including your Private 2 Car Garage. Once Parked you walk into your OPEN KITCHEN with Custom Island with Sink w/ Wine Fridge an Room to Eat. Downstairs is Ideal for entertaining anytime of the year! You have a Full Bathroom and Guest Bedroom Downstairs for friends or family. Large OPEN Family room that leads to your private fenced in Paver outdoor space plenty of room for a BBQ, Jacuzzi and Backyard for Pets and Kids!! . Upstairs has Huge Master bedroom and Master Bath with Garden Tub, Huge Stand Up Shower and Double Vanity. Other rooms upstairs include Laundry, Bonus room perfect for office or fitness area, guest bathroom with double vanity and bedrooms 3 and 4. This NEW BUILD town-home lives just like a single family home except it shares only one BLOCK Firewall. *HOME WARRANTY INCLUDED** Move in BEFORE THE HOLIDAYS ARE OVER!! Listing provided courtesy of Stress Free Propert Mgmt. Inc..